DA PUMP is a popular Japanese singing and dancing hiphop group consisting of four members from Okinawa, Japan. They are the first all male vocal group to graduate from Okinawa’s Actor School which also trained superstars, Namie Amuro, SPEED, and MAX. 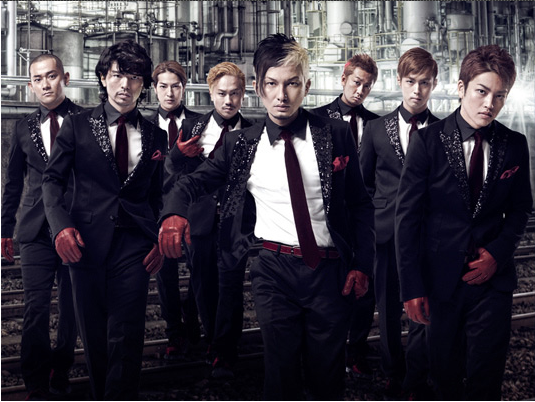 Debuting on the avex tune sublabel of the indies giant avex trax, DA PUMP was the first “boyband” to successfully penetrate the market monopolized by Johnny’s Entertainment. Famed for their ability in both dancing and singing, and for their good looks, Da Pump’s debut came in 1997, with the song “Feelin’ Good – It’s PARADISE”. The group originally came from Okinawa Actors School but are now part of the Avex Network and are produced by Akio Togashi. Their songs tend to have a quick tempo and often include elements of rap. Da Pump often appears in TV shows, movies, and magazines throughout Japan. Following a DUI arrest in 2005, Shinobu temporarily suspended all activities from the group. However, on 7 April 2006, he officially announced that he has left the group. The remaining members of DA PUMP will continue on as three. During his leave, he returned to Okinawa and in a letter posted on his management company’s website he explained that during his time there he felt an urge to perform the music of the perfecture and with those sentiments decided to leave the group.